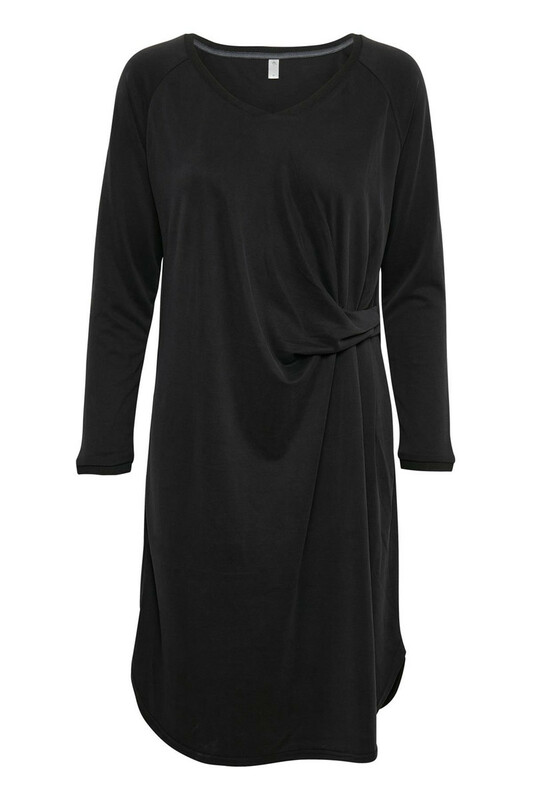 Soft and simple dress from Culture. Undoubtedly a comfortable beauty and very stretchable in quality! 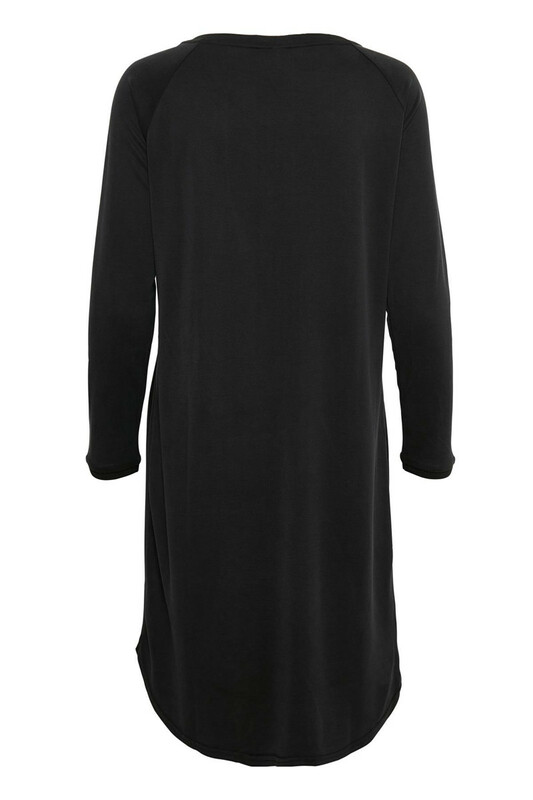 It has a regular fit, a soft v-neckline, a length below the knee and long sleeves. 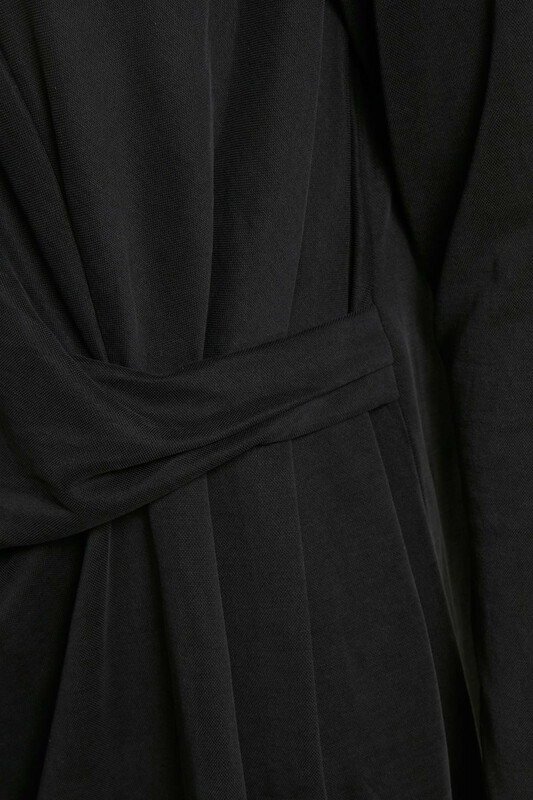 The dress’ stylish draping on the left side, creates this beautiful wrinkle effect. The dress is easy to style and perfect for spring. On those sunny days, it can be styled with a nice sandal and a cool denim jacket. If the weather is a little chillier, it can be styled with a pair of cool jeans underneath, a leather jacket and a nice boot.